MusicMagpie is all over the TV, advertising the fact that it will pay for your old DVDs. However, there are plenty of other alternative sites that do the same from CeX to Zapper. But which offers the best price? Back in 2011, we did some research into how much cash you could raise selling old DVDs to a website that was getting a lot of publicity: musicMagpie. You can read the full article here, but the gist of it was that musicMagpie could easily be beaten. Since that article, musicMagpie's exposure has continued to grow, mainly thanks to a sustained advertising campaign. And more rivals have also sprung up, including the likes of Ziffit and Zapper. So, we’ve decided to give musicMagpie another go and see if it is still the worst place to sell DVDs. musicMagpie allows you to cash in on your old CDs, DVDs and computer games as well as electronic items like tablets, laptops, LEGO and even Gold. To start selling your DVDs you just enter the barcode from the box on the website, and it will give you a quote for how much cash it will trade for. There’s also a mobile phone app which allows you to scan the barcode, making light work if you’ve got loads to shift. You’ll need a minimum of £5 worth of stuff to complete an order. To send your items you can print off Freepost labels from the site or book their free courier service. Once they've been checked you'll get paid by bank transfer or PayPal. Given the guy on the musicMagpie advert talks about getting a cheque for £50, the £9.11 total we’ve amassed isn’t very inspiring. Ziffit allows you to sell your old books, games, DVDs and CDs. You’ll need a minimum of 10 items or items worth at least £5 to complete a trade. Then you just have to pack them up and either use the free courier or use the Collect+ drop-off service. Then it’s just a matter of waiting for a payment direct to your bank account, PayPal account, cheque or instant cash voucher. Ziffit only wanted 12 of the 15 DVDs I had to offer but was willing to pay £25.46 – 168% more than musicMagpie. Computer Exchange (CeX) has been around for over 20 years and has stores on the high street where you can buy, sell or exchange DVDs, CDs and games as well as all sorts of tech products like mobile phones, tablets and games consoles. You can see what CeX is willing to pay for your DVDs online by inputting barcodes. CeX will tell you the cash value it is willing to pay and the alternative CeX voucher value you could get. The great thing about CeX is there’s no minimum number of DVDs or values you need to hit. Like its competitors, it offers a Freepost service or Collect+ drop off service. You can choose how you get your money from CeX vouchers, cheque, PayPal, bank transfer or even Bitcoin, though going for the CeX voucher gets you slightly more. Zapper allows you to sell books, CDs, DVDs and games as well as mobiles, electronics, LEGO and even gift cards. You can get an instant value online using the barcode or use the app to scan items quickly. You’ll need a selection of items worth at least £10 in order to complete a trade. Once you’ve managed that you just need to pack them up and send via your local Collect+ drop off point. Zapper offered a total value of £31.49 for the 15 DVDs I had to offer, which is much more than musicMagpie and Ziffit but not as good as CeX. 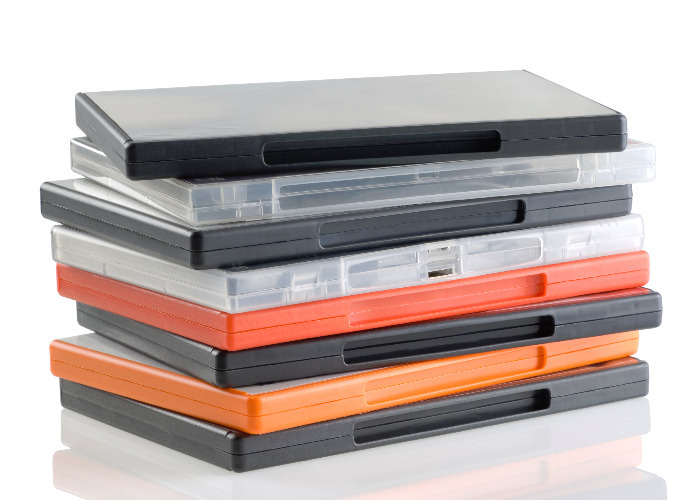 Momox is another site that will pay for your old DVDs, books, CDs and games. You’ll need to achieve a minimum purchase price of £10 in order to complete a trade. Again, a pre-paid sticker is provided so that you can send off your items free of charge and money is paid directly into your bank account. So Momox only wanted 10 out of the 15 DVDs I had to sell and offered £18.54 in total, much better than musicMagpie, but not quite as good as CeX, Ziffit or Zapper. So, it’s still pretty safe to say that musicMagpie is the worst way to sell DVDs considering what you get elsewhere. One thing is clear – if possible, mix and match where you sell them. By splitting the DVDs up and selling to different companies, we could actually get a better return compared to selling them all to the same site. Also, remember you could get more for your DVDs by selling on Amazon or eBay. The cash won’t be instant, but you won’t be settling for less!